Inspire1 on the included road case, waiting for flight. I took delivery of my DJI Inspire1 on Monday, tested it briefly on Tuesday, and shot a job with it on Wednesday. I thought I would share my experiences. First, the backstory. I have owned several DJI Phantoms, starting with the Phantom 1, and my main craft prior to the Inspire1 was the Phantom2 Vision Plus. The camera was the weak link. My main use for aerials is shooting b-roll on golf courses. I ordered the Inspire1 immediately after watching the press event in November. I first ordered the single controller model from B&H. I was on the fence about ordering the dual controllers so I cancelled by B&H order and placed an order with Dronefly.com for a dual setup and extra TB47 battery about a week later. I was very excited to be in the first batch, since I had a golf shoot scheduled for the first week of January. The timing did not work out, but I was anxious to test. The case that was included is nice, but maybe not for air travel or shipping. Jury is out on whether I get a Pelican or not. The controller is awesome, with buttons for video record and photos right at your fingertips. I can now keep my hands on the controller, not the iPad during flight. The integration of Lightbridge is fantastic. I had previously purchased this for my P2V+, but the setup was a bit awkward and I could not use the iPad for video display. Now it is a complete turn-key rig. One issue I had with the Lightbridge was using an iPad Mini 1, which is not powerful enough to stream the video. Once i switched to a new iPad Air2, everything was great. The aircraft itself is large, much larger than a Phantom. It feels well built, and looks impressive and intimidating at the same time. So how does the quality of the new camera compare? Better than I expected. I have used both the Vision+ camera and a GoPro Hero4 Black on my shoots. The Hero4 was much better than the Vision+ camera, but it lacked an easy way to view live video and control the settings once in the air. The Vision+ was “good enough” for most things, although it always left me wanting a little more. The Inspire1 camera offers great video quality, perhaps better than the Hero4, with all the control that I could wish for. Want to play back a shot? No problem, just click play and it streams to your iPad. You don’t even need to bring the unit down. The App is very nicely designed. Much nicer than the Ground Station App that I used with the Vision+. In my past dealings with DJI support with my Phantoms, I would say that my expectations were low with respect to service. After all, the Phantom2 was a sub $1000 drone from a Chinese company with little to no American presence. There was more peer-to-peer support via message boards than from DJI directly. With the introduction of the Ronin, I noticed an appearance of change (since I did not buy a Ronin, I cannot speak of their new support). 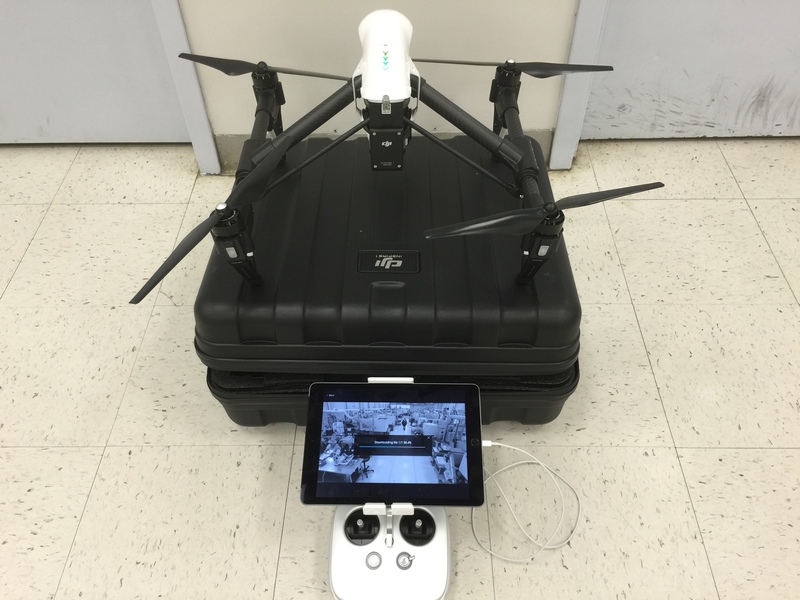 With the Inspire1, I notice the same commitment to make the support better. The first drama came when Mark Taylor posted a video of his Inspire1 crashing into his garage using auto takeoff. What followed next was a series of posts, second hand information, and a wild frenzy about grounding all Inspire1’s until issues are worked out. I can say that I tried to reach the Inspire1 support team via live chat, and was told to leave my info and someone would call back in an hour. That call never came, ever. I called and waited on hold for about an hour. I did speak with a knowledgable english speaking person, who was polite and somewhat helpful. There is still a long way to go for pro level support. I will post some video soon, so stay tuned.